In part three of my PFX series over at Beyond the Box Score, I examine the pitchers who were squeezed by tight zones. The competent Mariners and Blue Jays reliever was charged an extra 7.7 balls for every 100 called. 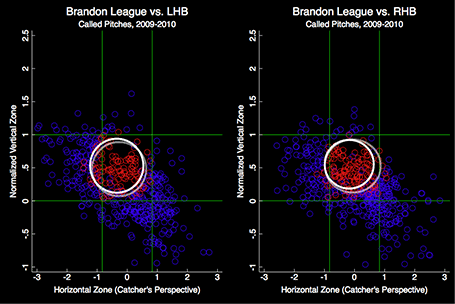 Over the last two seasons, Brandon League was squeezed more than any other pitcher (minimum 500 called pitches).